We all know about BB cream (beauty balm) for the face. It’s efficient, provides great results and is quite the multitasker. Well…times have changed and now we have BB creams for the body. 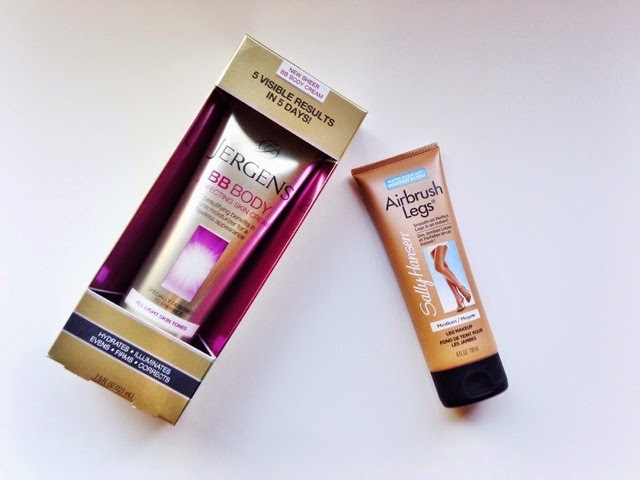 These are my two favorite body beautifying “makeup” products. 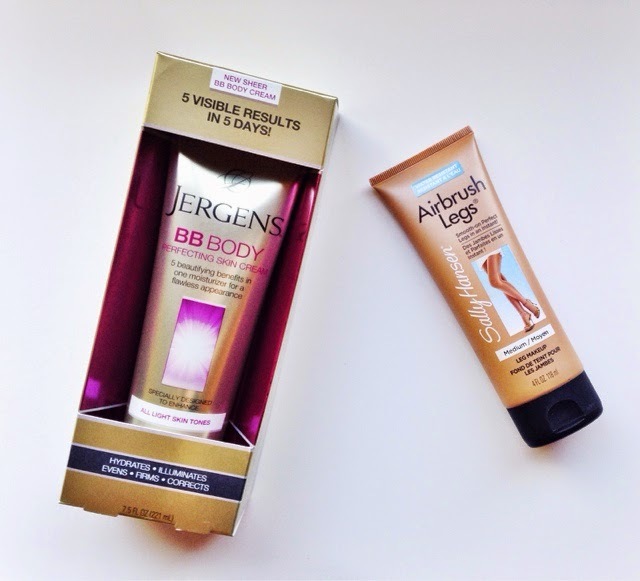 If I could have one body item though, it would be the Jergens cream. I had ingrown hairs around my knees and bumps on my thighs. My legs were also always significantly drier than the rest of my body. After applying this cream for just one week, the difference was DRASTIC. I mean absolutely incredible and I was blown away, which certainly does not happen with body products. It immediately hydrates and illuminates; within five days it evens, firms, and corrects. I am no longer hesitant to wear shorts or dresses because my legs are not covered with tiny bumps that are significantly enunciated in the sunshine. The product comes in two different shades- light skin tones and medium to deep skin tones. 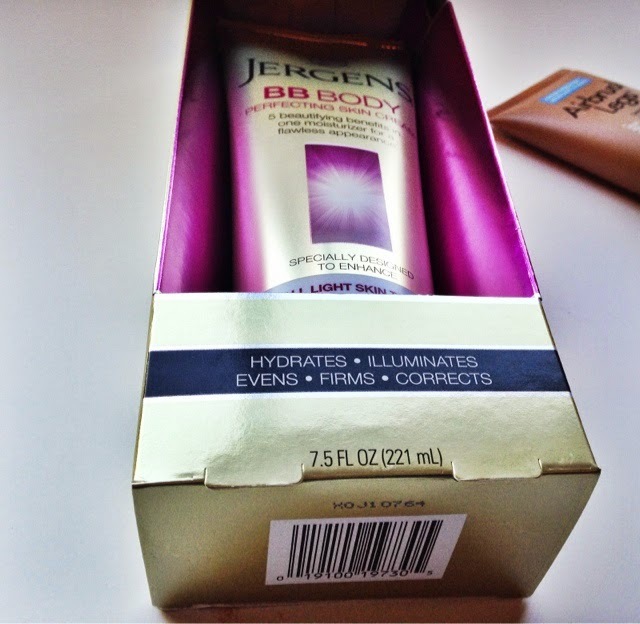 The light version “evens out redness, blurs skin imperfections, provides superior hydration, and visibly firms skin with Jergens Firm Perfecting Complex.” I love that this applies as a thick cream and then absorbs quickly into the skin. You don’t feel like you’re being dragged down with a thick cream in the slightest. I am so impressed with this product and highly recommend it. My legs are significantly better. Life is great! The second key to this duo is Sally Hansen’s Air Brush Leg Makeup. 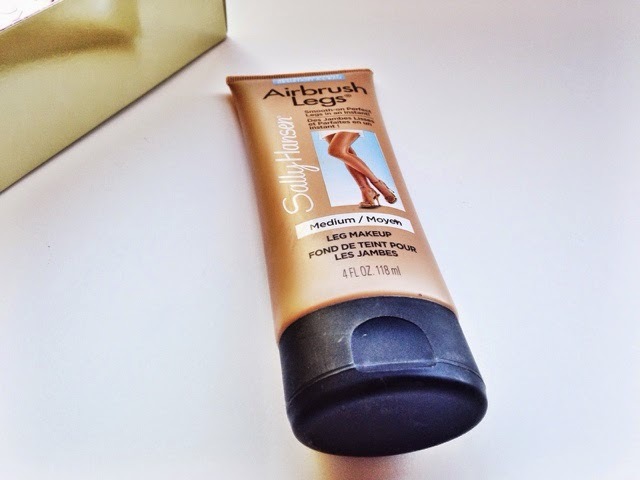 It seems a bit weird to use leg makeup, but if you have darker hairs, stubble, bruises, visible veins and other imperfections on your legs, this product will blur all of those imperfections. Now I’m not saying that every single imperfection should always be covered, but if you’re headed to a dinner party, wedding, or formal occasion, using leg makeup is ideal because so many different types of cameras and flashes will be on you at different times. This stuff stays on no problem. It will come off with soap and a washcloth. There are four different shades (Light, Medium, Tan, Deep) so there is a shade for you. I think the medium may have been a bit dark for me but the lighter shade was too light, so make sure to test out the range of shades before purchasing. I will need to get the lighter shade and mix the light and medium together. Also when spreading this liquid, make sure not to start with your feet. For some reason, my feet soak in so much color and it appears blotchy. They’re difficult to correct once the leg product is on your feet so make sure to use minimal amounts on the feetsies. Have you tried either of these body beautifiers?